We are your Lease Headquarters. We offer Free Lease Quotes from our Lease Experts saving you on your monthly payment by comparing which leasing company offers the lowest payment. Please email us your city and state and how many miles per year you drive (8000 10000 12000 15000). We will email you back a $0 down, 36 month quote. Email or call us today! There are no additional FEES/ADD ONS to be added to our price! This saves you up to $1500 over what other dealers charge in extra fees including Documentary, Notary, Prep, ADM, and Environmental. We are one of the only stores in the USA with no fees, that is why we sell all over the country - saving our customer's thousands! Many customers don't realize how much in extra fees they pay when buying a car. 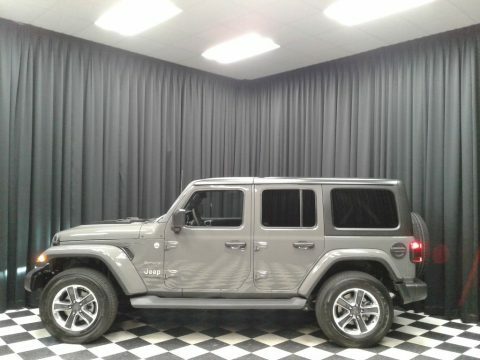 This is a new 2019 Jeep Wrangler Unlimited Sahara 4X4 with the 2.0L l4 DOHC DI Turbo eTorque Engine, 8 Speed Automatic Transmission. It comes with the 3 year - 36,000 mile Factory Bumper to Bumper Warranty as well as a 5 year - 60,000 Factory Powertrain Warranty. It is equipped with Keyless Entry w/ Remote Start, Command Trac Part Time 4 WD System, Heavy Duty Suspension w/ Gas Shocks, 3.45 Front/Rear Axle Ratio, Anti Spin Differential Rear Axle, 3rd Generation Dana 44 HD Rear Axle, Cloth Seats, Power Windows and; Locks, Cruise Control, A/C with Dual Zone Automatic Temperature Control, UConnect 4, 8.4 in TouchScreen Display, AM/FM/SXM, 8 Speakers, Apple Car Play and; Google Android Auto, Parkview Rear View Back up Camera, Aux, (2) USB Inputs for Mobile Devices, UConnect Voice Command with Bluetooth, Leather Wrapped Steering Wheel w/ Mounted Audio Controls, 12-Volt Auxiliary Power Outlet, Rear Folding Seat, Transfer Case/Fuel Tank Skid Plate, Traction Control, Hill Start Assist, Black Roc Rails. Body Color Roll Cage, Black Freedom-Top Hardtop and 1 year free subscription to Sirius/XM Radio. The MSRP is $46,315. Internet and E-Bay pricing include rebates/incentives.